TIP 1: ATTITUDE- No one likes a complainer, no one. Be the one that see’s the glass half full. Look for the best in things including your company & your leadership. John F. Kennedy, our 35th President of the United States, said in his inauguration speech; “Ask not what your country can do for you, ask what you can do for your country.” Perhaps think of it this way, “Ask not what your company can do for you, ask what YOU can do for your company.” I know that may seem a little melodramatic, but that’s the kind of attitude organizations are attracted to! It’s uncommon to run into employees that express this kind of positive force. Negative people ultimately get released from a company. Positive people are super shiny! TIP 2: WORK ETHIC– I’m not sure how to coach you on work ethic with any certainty; because every organization has their own culture and expectations. What I can suggest however, is to get clear about what the expectations are within your firm and then exceed them. If the respectable hours are 8:00am – 5:00pm then I suggest you show up ‘ready to go’ at 7:30am and leave at 6:00pm. If you have unique personal needs that would keep you from maintaining those hours then you should pass that by management to gain understanding. You may have to take care of a child, a Mother or have a particular commitment to ‘something’, just make sure your leadership is aware and sanctions your special needs. Getting in earlier and leaving later than the ‘herd’ makes you Shiny! TIP 3: URGENCY– I’m sure this sounds crazy, but think about it….walking fast all the time implies urgency to the onlooker! No matter where you are heading when you’re in the office, move with intention. If you really want to add turbo impressions to your walking fast then carry a piece of paper every time you move. If you are on your way to the kitchen, conference room, restroom or wherever; carry a piece of paper and walk fast. Others will notice you and believe you are ‘always on it.’ If someone asks you where you’re going, just say; “get’n it done” or “make’n money’ or beat’n the competition! Have fun with it, but just know that this simple technique translates well to others. After all, if a Mentor is looking for someone to coach, they’ll want a person who acts with urgency, not a slow mover. TIP 4: COURAGE– Don’t sit around and wait for the answers, you have to reach out and professionally push for results. And when I say push for results that doesn’t mean become obnoxious, it simply means to move your future forward. I remember a young man I met when initiating a prospecting program with a company and he told me that the biggest problem he had was that there was very little training at his firm. I suggested that he take action and create the training he thinks he needs. He said; how do I do that? I told him to simply go to his manager and be candid about the fact that he would like more training. It’s surprising to me that he needed that advice. You can’t sit still and wait for the company to feed you, you have to be courageous and take charge of your future and trust me, being courageous will definitely make you shiny! TIP 5: CONDUCT– If you have entered your career with your first position, how you conduct yourself is critical. You want to stand out and that’s going to happen if you exhibit professional conduct or immature conduct…it’s your choice, either way you are guaranteed to stand out. My recommendation is to remind yourself that you’re in corporate America now and professional conduct matters. Attending an overnight business conference and ending up drunk by evenings end will prove to halt your career mobility. Separate yourself from the ‘goof-off’ crowd early on. Inappropriate language, loud bragger-weekend talk, joke telling and ‘hanging out’ with others in the office won’t cut it. You have to separate yourself from the gossip and joke telling crowd and move toward those who are in action with their career. Your conduct inside and EVEN OUTSIDE the office is noticed by someone. Be careful, use judgment and move toward your vision with intention. Your office pals won’t get you where you want to go, your intention and serious approach to your career will, and more importantly, it attracts Mentors like a magnet. TIP 6: THROW YOUR HAT IN THE RING– Once you know what you want, you need to make it known. If you are seeking a talented Mentor to help you grow then let leadership know. Remember this however, you have to ETR! That means earn the right! 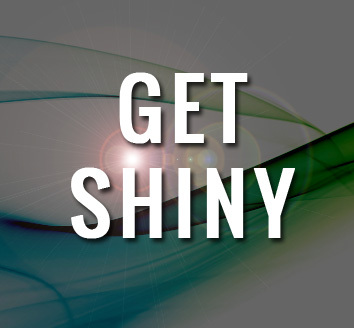 Once you consistently demonstrate shiny you will be noticed and if those who notice you are aware that you are looking for a Mentor, you will be approached. The best Mentors seek exceptional potential. TIP 7: QUALITY WORK– Produce quality work. I recommend you purchase a Forbes or Fortune magazine and study the business words used in articles and ads. Learning to write in college isn’t parallel to how executives write. Executive’s use words and phrases like; Strategic Advantage, Return On Investment (ROI), Demand Generation, Sustainability, Globalization, Emerging Capabilities, Digitization, etc. You will want to sharpen your writing to match the structure executive’s use. Additionally, your verbal communication matters as well. Using street language like; Dude, You Think? Him And Me, I Go, etc. Producing documents and language that aligns with executive thinking will draw the kind of attention that can get you noticed. TIP 8: TAKE RESPONSIBILITY– Before you become cynical and blame the company or your manager for what’s not working, clean your own sandbox first. When you evaluate from a space of self-responsibility you move from blame to gain. You are the creator of your circumstances, no one is doing it to you! Being negative is not attractive, taking responsibility is, and it makes you shiny. TIP 9: RESPECT STAFF– If you are being supported by the organizations staff then you will manifest shiny if you are generous with your words when you interact with those who support you each day. Anyone who is in a supportive role within the organization deserves to be treated with respect. In the leadership work we have done, we frequently discover “kiss up – power down” behavior. That means, when engaging with leadership, employees often are polite, complementary, respectful and subservient, but as soon as they engage with someone with less authority they often are rude, disrespectful and uncooperative. Again, we call that “kiss up – power down.” Learn to be respectful to those who work hard on your behalf and you magnify shiny! TIP 10: BE ETHICAL: There are shortcuts, but if they are unethical you ultimately lose. Do things right, take the high road and stand for others to do the same. I saw a movie not long ago called “The Wolf Of Wall Street.” It’s about the world of selling on Wall Street and although it’s only a movie, I found it degrading to the career of selling. We recently published SOAR Selling which is focused on Demand Generation. In the writing of that book, it was important to us to represent a professional formula for reaching decision makers on the telephone. Our view is, you don’t have to lie to win. So, if you want to get shiny, avoid those who encourage you to bend the rules. Do things ethically and you will be shiny to high talent Mentors.